If you have an asbestos related disease then you may wish to secure the services of a solicitor to help you claim compensation from your previous employer(s). It is vital that you employ a specialist asbestos solicitor to help you - a general high street law firm simply will not have the necessary knowledge base or experience to fight your corner against the companies or insurers who would pay the compensation. Our asbestos solicitors work solely with asbestos related cases including asbestosis, lung cancer, pleural thickening and mesothelioma. They know the legalities of such cases inside out, have access to official documentation and databases, have detailed knowledge of government schemes and funding, and understand the need for compassion, speed and efficiency when dealing with these complex cases. 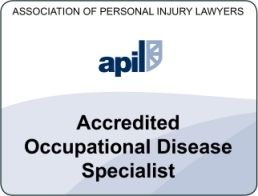 If you are thinking of making a compensation claim for an asbestos related disease it is therefore essential that your solicitor is a specialist asbestos solicitor. Our lawyers are not only experienced in making asbestos claims but have proven to be successful in gaining the maximum possible settlement quickly, efficiently and with the least distress to the victims of asbestos and their families. What experience do our asbestos lawyers have? Our solicitors have over 20 years experience in making successful asbestos claims against insurers. They have secured compensation for people from all industries including power station workers, pipe laggers, shipyard workers, boiler makers and painters and decorators in addition to those who have been exposed to asbestos in hospitals, or as a child in school. Take a look at the testimonials and previous case studies and judge for yourself. How will your asbestos solicitor help in the compensation process? Our asbestos lawyers will initially contact you by phone to discuss your claim with you. For complex cases, our solicitors are happy to travel anywhere in the UK to meet you to discuss your claim face to face. They will spend some time asking questions about your work history if applicable – where you worked, what type of job you did, were you aware of asbestos exposure? They will also ask about other aspects of your life to elicit if there was asbestos exposure from schools, hospitals or other family members e.g. second hand exposure from washing clothes belonging to a worker exposed to asbestos. Once all the information is obtained, our solicitors will then be able to put a detailed case together and look for the insurer to put a claim against. Don’t worry if the company you worked for has long ceased trading – our solicitors have proved themselves experts in finding insurers to claim against. They pride themselves in going the extra mile and if there is a claim to be made, they will find the evidence to support it and follow it through to its completion, keeping you informed throughout the process. Our asbestos solicitors provide a completely free service to their clients by working on a strictly no win, no fee basis. 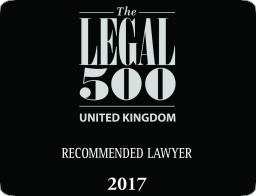 They use their considerable legal experience to maximise the final award of which the client receives 100%. 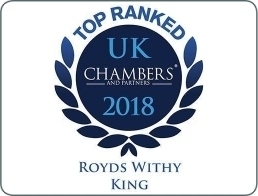 The solicitors do not take any fees from this award and their costs are paid by the insurers of the companies where the exposure to asbestos took place. We have a proven history in bringing successful asbestos claims and as such receive calls from a variety of sources – including hospital consultants, coroners, Citizens Advice Bureau, Help The Aged, Macmillan teams and direct from the internet. Please read our testimonials and case studies to see the feedback from recent clients and previous successful claims made against various insurers. For more detailed information regarding making a claim for compensation for mesothelioma, please see our separate page. If you require advice regarding an asbestos compensation claim for yourself or on behalf of a family member or friend, please call using the contact details below and ask for Warren Miller or Kathy Cooke. You are not under any obligation to use the services of our solicitors but we hope to assist you in your query.